הערבים בישראל: הלנו אם לצרינו? Arabs in Israel: Friends or Foes? Eli Gabbai, Publisher with ACPR Publishers, (Hebrew), 2002, (Hardcover), 280 pages. An in-depth study of the Israeli-Arabs and their place in Israeli society. This book was published at a moment of extreme tension, indeed a deep crisis, between the State of Israel and its increasingly hostile Arab minority, which makes up 20% of its population. No longer "torn between their people and their country", since making their decision in the last decades to align with the former to the detriment of the latter, they now reflect by themselves all the vitriol, hatred and scorn that any Arab party has ever dated to express toward the Jews, Zionism and Israel. 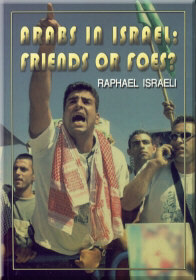 The author explains not only the genesis of this uneasy relationship which accompanied Israel since its inception, but also outlines the development of the process which pushed the Arab guest minority to defy – with growing impertinence, the host majority's very hegemony in the state; to the point of challenging the dominant Jewish culture and the prevailing Zionist ethos and demanding that the state renounce its Jewish tenure and adopt a novel bi-national character. 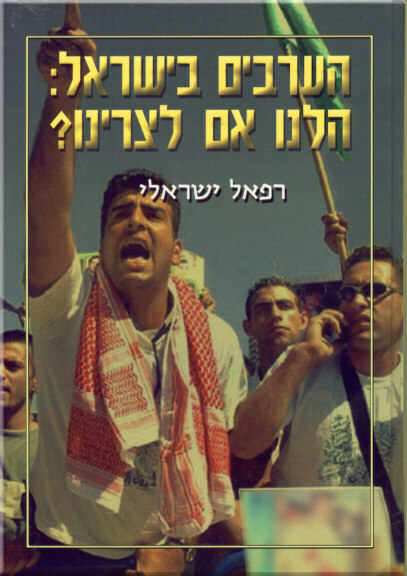 This volume depicts the deficient policies of successive Israeli governments, which were blind to these developments, refused to lend their ear to the alarm calls which sounded on the first and then second Palestinian Intifada (1987 and 2000, respectively), until they joined in their own uprising against their country in 2000, which further raised their tempers and left them even more alienated, bitter, hostile, vindictive and secession-prone. The author also outlines several measures that must be taken by the Israeli government, both urgently in the immediate future and in the long-run, in the years to come, to stop the downhill degradation of this unfortunate relationship and possibly reverse it to avert the otherwise unavoidable catastrophe where the collision course is bound to lead Arabs and Jews in Israel. For the complete text of the book (in English), click here.